Flu on the rise in San Diego county. SAN DIEGO–Three additional flu deaths were reported in the San Diego region last week, bringing this season’s total to five, the County Health and Human Services Agency said. A 49-year-old man died from complications from influenza A (H1N1) on Dec. 4 and a 77-year-old woman died Dec. 1 from influenza B. A delayed report was also received on an 80-year-old woman who died from influenza B on Oct. 15. All the people who have died from influenza this year had underlying medical conditions and none were known to have gotten this season’s flu shot. 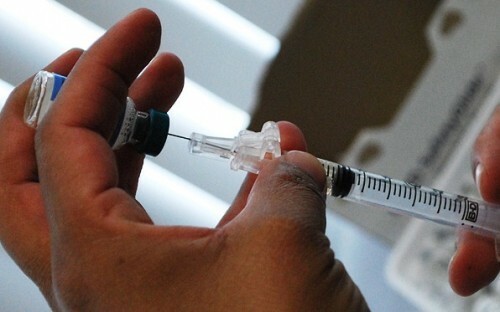 Four influenza deaths had been reported at this time last season. Last season, 342 San Diegans died from complications from the flu, the highest total since the County began tracking flu deaths nearly 20 years ago. The majority of those who died last season were over the age of 65, had underlying medical conditions and had not been vaccinated. Two children also died from influenza last year. The County Health and Human Services Agency publishes the weekly Influenza Watch report, which tracks key flu indicators and summarizes influenza surveillance in the region. All other indicators are at expected levels for this time of year.